From a Typical Family Garage Start-up… Desrochers’ association with leathers started a long time ago. Just imagine Mr. Denis Desrochers, a true travelling shoe salesman roaming the streets of Quebec City, selling his wares. One fine day, a client makes him the deal-of-the-century on a leather surplus. 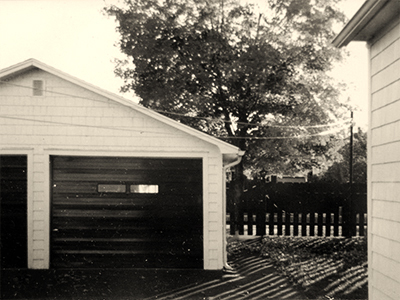 Having an entrepreneurial flair, he promptly transforms the family garage into a small manufacturing plant. Family members are quickly called into action to make promotional items, mainly, leather key rings. 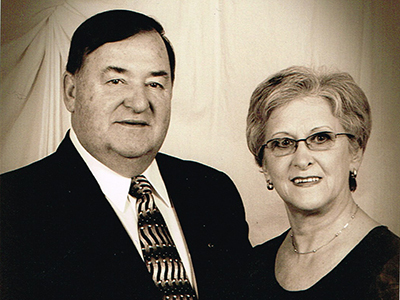 In 1981, Mr. Desrochers moves his business, and now he is only selling his own production. He buys a manufacturing building (which is still our workshop) and widens his product line to include school bags, handbags, and shoulder bags… with fringes, thank you. Working hours are long, business is booming and the warehouse keeps expanding. …to Passing On the Value of Well-Done Work. 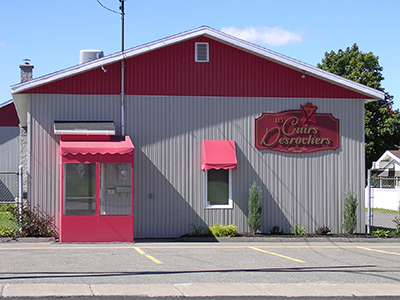 In 1997, Nancy Desrochers, Denis’ daughter, and her husband Dominique Chagnon take over the business. 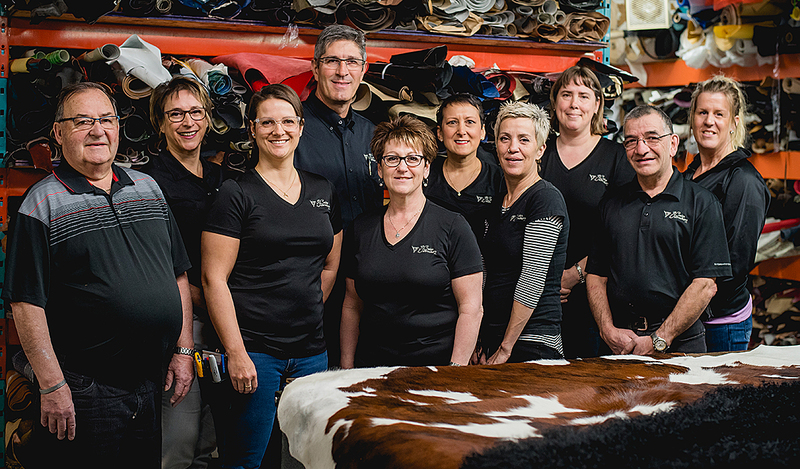 The new generation is keen on continuously improving Desrochers’ Leathers product line. That’s why the selection has never been larger: it covers more than 10,000 square feet of floor space! Every team member works very hard to create products that meet our clients’ needs, and thus, make Mr. Denis Desrochers’ legacy flourish. P.S. Like many businessmen, you may find our intrepid retiree Mr. Desrochers “supervising” our workshop, from time to time. its textures and its traditions.